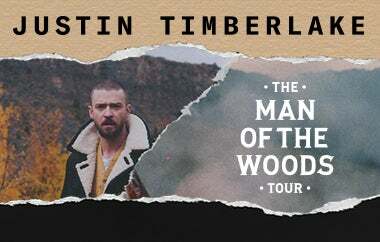 As a result of bruised vocal cords, Live Nation has confirmed that the Justin Timberlake Man Of The Woods concerts in December are unfortunately postponed. However, all affected shows have been rescheduled to take place in 2019 and tickets for the originally scheduled shows will be honored at the 2019 events. Tickets purchased for the originally scheduled show at Wells Fargo Center on Monday, December 17 will be honored at the new show on Tuesday, April 9 at 7:30 p.m. Additional tickets are available now online at WellsFargoCenterPhilly.com, by phone at 1-800-298-4200, or in person at the Wells Fargo Center box office.